Last week we wrote a blog post titled “What to do with all that stuff” and gave you options o’plenty to assist in your fall closet clean-out. We listed organizations who take everything from clothes, denim, and shoes, to baby gear, old phones, and household goodies. You’re welcome. But seriously, flag that email, we think it will come in handy when the weather turns and you’re scrambling to clear out space for those bulky sweaters and coats! One of the organizations we mentioned in that email, RewearAble, is an official partner of Tulerie so we want to talk more about why we partnered with them in the first place. They also simply deserve the spotlight for the incredible work they are doing. Tulerie is all about minimizing fashion waste but we’re realistic in that statement because we understand clothing disposal is a natural part of a wardrobe’s lifecycle. 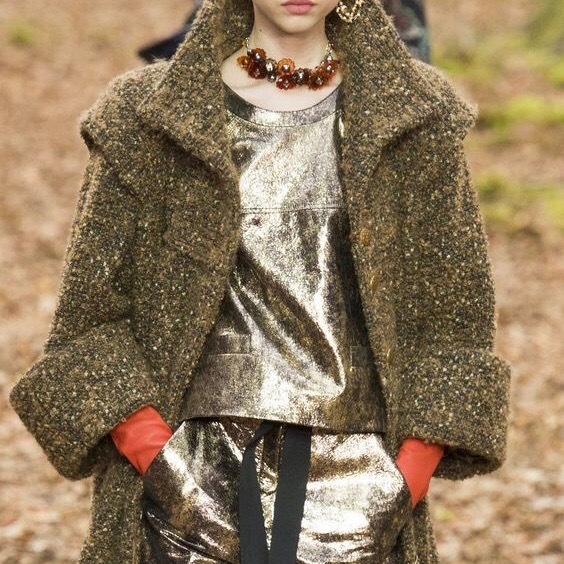 A Chanel tweed coat is basically indestructible but it won’t last forever. With that in mind, Tulerie has been committed since the onset to finding disposal solutions that have a positive impact on the environment. Little did we know our neighbors in Long Island had such a solution. RewearAble is a local not-for-profit organization that is keeping clothing out of landfills. Where most places accept donations for resale, RewearAble accepts clothing, shoes, accessories, household textiles, toys, purses, non-breakable household goods, even rags, in any condition and prepares them for reuse or repurposing. The best part? RewearAble was created by Adults and Children with Learning and Developmental Disabilities, Inc. (ACLD), devoted to supporting the pursuit of an enviable life for children and adults with autism, learning and other developmental disabilities. The RewearAble facilities put emphasis on hiring only people with developmental disabilities who otherwise may have a challenge finding employment. Are your eyes sweating too? If you feel strongly about supporting your local shelter or another organization through donating goods, keep on keeping on…we trust you’ve done your diligence and those items are going to good use. If not, consider donating to RewearAble. Please email admin@tulerie.com for easy instructions on how to donate your unwanted items to RewearAble.